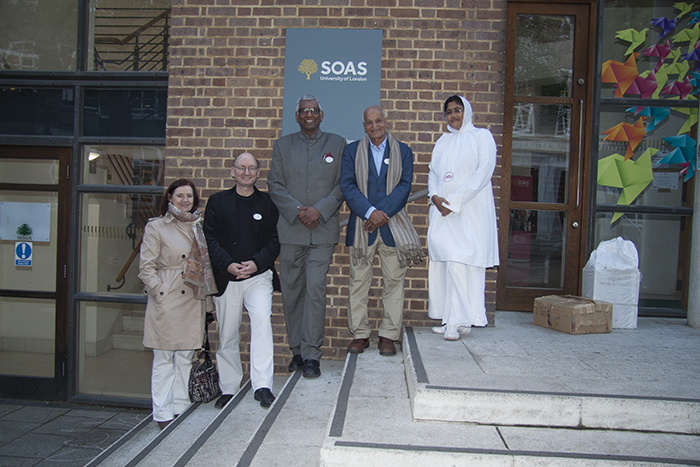 Eminent writer, ecologist and broadcaster, Satish Kumar, editor of Resurgence magazine gave a memorable speech about his early years and learning at the feet of Acharya Tulsi, whose centennial was celebrated on Saturday 26th April 2014 at the world famous School of Oriental and African Studies. 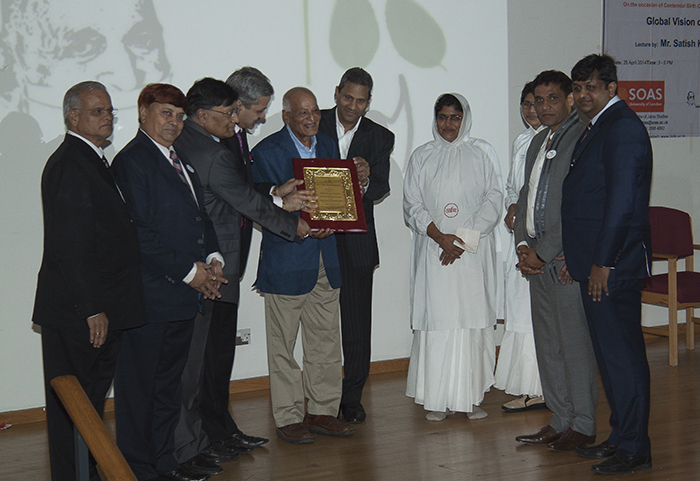 Jain leaders and culture champions from various organisations like the Insitute of Jainology, Young Jains, SCVP, Oshwal Association of UK, Navnat Vanik Association and Jain Vishwa Bharti gathered for the launch of the Acharya Tulsi memorial lecture. 8 delegates from Terapanth Mahasabha in India flew in especially for this occasion. 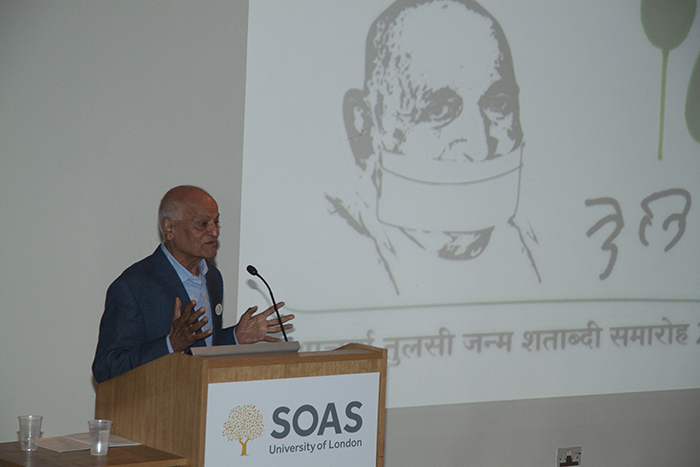 Satish Kumar explained why he became a Jain monk at the young age of 9 because he wanted to free himself from the cycle of birth and death after witnessing his father’s early demise. He went on to walk thousands of miles for peace from India to North America in the 1950’s, inspired by Bertrand Russell, and like a Jain monk, carried no money for this journey. He later settled in the UK and is currently the longest serving editor of any British magazine, having started Resurgence in 1973. 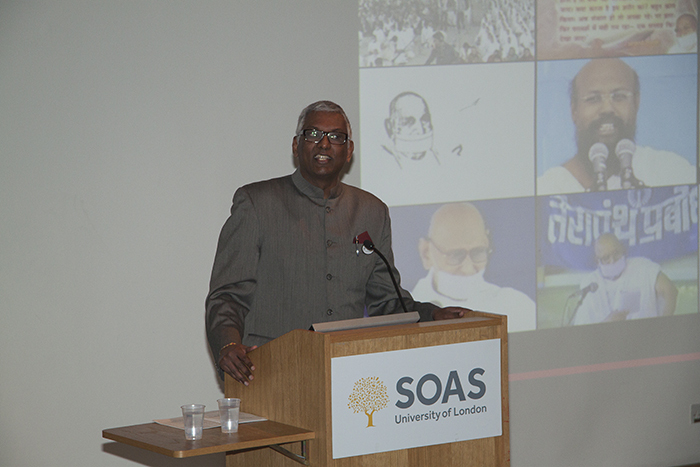 He reminded the audience of the pristine Jain values of Ahimsa, Saiyam and Anekant – Non-violence, self-discipline and pluralism, and said these values are very prescient for the twenty-first century. He has appeared on Radio 4’s Desert Island Discs, a one one-hour BBC documentary on Dartmoor and also Thought for the Day amongst other programmes. Mr. Kamal Dugar of the Terapanth Jain Mahasabha spoke of the global celebrations of this visionary and how Acharya Tulsi’s message of Anuvrat (self-discipline through vows) is so necessary and relevant today. 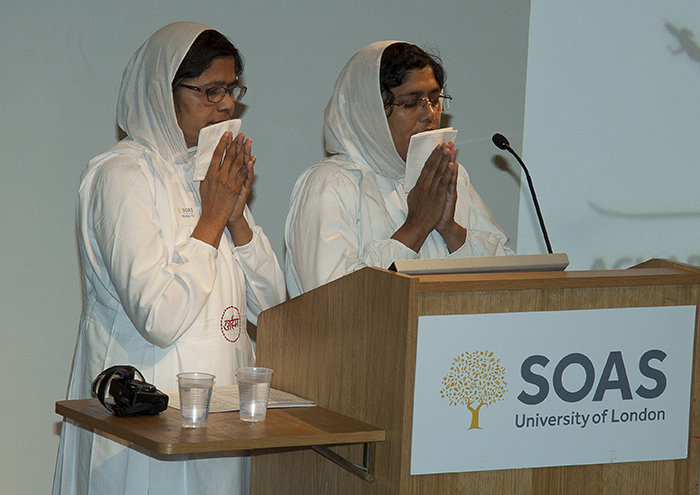 Samani Pratibhapragya, a nun and PhD student of Jainism at SOAS, spoke about his unique vision to educate women and the nuns, at a time when this was not a critical issue for India. Through education, Acharya Tulsi emancipated the nuns, and Samaniji is the first nun ever to study for a PhD outside India, a remarkable expression of humility. 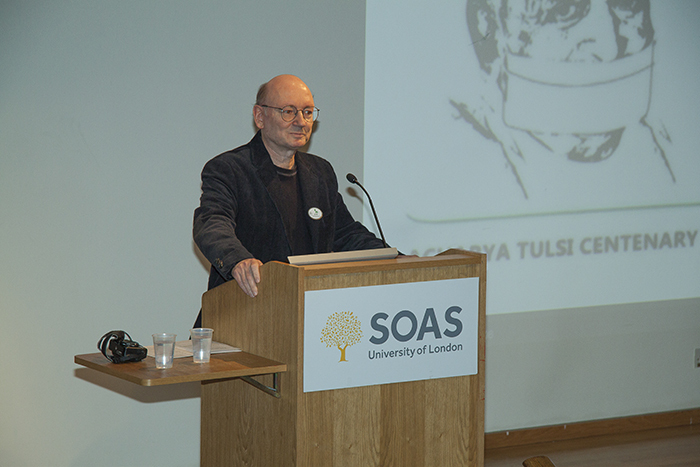 Dr. Peter Flugel, founder and Director of the Centre for Jaina Studies at SOAS, thanked the audience for their support of the work of the Centre and explained the different ways in which Jaina philosophy and practice can be learnt at SOAS. As usual, there are many more videos on the You Tube Masala Tour channel of these kinds of events.